When you read the Bible from cover to cover, you will notice that there is much writing on the subject of conflict. Numerous examples of conflict are woven into the many stories of people’s lives outlined in the scriptures. There is also much wisdom to be gleaned from the Bible on managing conflict. The Book of Proverbs is filled with a wealth of insight on the causes of conflict, dealing with anger, and ending our disagreements with each other. About ten years ago, when I started to see how the Bible had all this practical knowledge on the subject of conflict, I felt compelled to incorporate what I learned into the mediation assistance I provide and the teachings I give on conflict resolution. Some of the insight I gained and how I use it in mediation and teaching is what follows in this article. In a number of passages, God is revealed as the one who brings peace. Come behold the works of the Lord, who has made desolations in the earth. He makes wars to cease to the end of the earth: He breaks the bows and cuts the spear in two. He burns the chariot in the fire. This and other scriptures proclaim how God is actively involved in the affairs of men, and there are at least eleven different examples in the Bible of God intervening to help men resolve their differences with each other. A good example of God’s intervention is at Genesis chapter 26, verses 12 to 31, where God helped Abraham’s son Isaac resolve his dispute with some Philistine herdsmen. He and the herdsmen had a bitter struggle over some wells Isaac’s servants dug for him. Every time Isaac’s men dug a well, the Philistine herdsmen would claim that the water it produced was theirs. Because these men fought him over these wells relentlessly, resolution of this problem appeared hopeless to him. But, suddenly, things changed. When his men dug another well, the herdsmen mysteriously chose not to fight them over it. Isaac knew that only God could have brought peace. For this reason, he named the new well Rehoboth, testifying about what God had done for him, “For now the Lord has made room for us, and we shall be fruitful in the land” (Genesis chapter 26, verse 22). When I am preparing individuals for mediation sessions or speaking to a group about conflict, I like to share this story or some of the others like it in the Bible to let them know that God is the peacemaker, and he desires to help them settle their differences just as he did Isaac and so many other people in scriptures. Sometimes, people refuse to discuss their differences with each other or to seek the help of a mediator because they see no hope in doing this. “What’s the use ? We’ve been fighting each other for so long, that there is no hope” is what I have had people say to me. Others will say, “We’ve tried everything else and it hasn’t worked? Why should we try mediation ?”. When people reveal their hopelessness to me, I often share with them these same words that God said to the prophet Jeremiah, to convince them that no conflict is impossible for God to solve: “I am the Lord, the God of all flesh. Is there anything too hard for me” (Jeremiah chapter 32, verse 27). I try to encourage them to have faith in God and his great power, and allow him to work in their situation while they are having private discussions or going through the process of mediation. Most of the time I also tell them the story of how God helped Joseph (the son of Jacob) resolve a very difficult conflict he had with his brothers. In the story, Joseph’s brothers became jealous of him, and this led them to throw him in a pit and sell him into slavery (see Genesis chapter 37, verses 1 to 36). Joseph remained a slave in Egypt for thirteen years, until God delivered him out of prison and made him a great ruler. Most of us would have remained bitter, unforgiving and unwilling to consider making peace after suffering as Joseph had. But not Joseph. Because of God’s grace, he was able to forgive his brothers, and give them food and shelter when they came to him to seek help during a terrible famine (see Genesis chapter 45, verses 1 to 15). I let them know that, if God can help resolve a conflict as difficult as this, there is a hope that he can help them settle their differences as well. Dealing with anger is important in resolving conflict because anger is often a major part of the problem. Whenever you deal with strife, the subject of anger will usually come up. In most quarrels, one, some or all the people in conflict are angry in some way. The scriptures also confirms the connection of anger and conflict. In many of the disputes discussed in the Bible, anger is either mentioned or the manifestations of anger are exhibited by the people in conflict. According to the scriptures, our destructive anger must be addressed because it is one of the main causes for us starting fights with each other. Besides causing us to start quarrels, our angry responses to improper words spoken to us or actions done against us cause us to stir up or add fuel to the flames of conflict fires, instead of abating anger or quenching the fires of conflict. Our intense or uncontrolled anger also keeps us from rationally discussing our differences with each other. This problem can cause us to remain in conflict when a solution for peace is available. When we yell at each other instead of calmly discussing our disagreements, we often make the conflict worse. Since anger often needs to be dealt with in order to provide people in conflict a complete remedy for resolving their disagreements, I commonly include a segment on anger in the workshops I teach to congregations and the sessions I teach to people who are getting prepared for mediation. There are over five hundred references to anger in the Bible. Because these passages give a great deal of God’s wisdom into understanding, managing and overcoming wrath in our lives, I believe that the Bible is the best primer that there is on the subject of anger. Matthew chapter 5, verse 22 reveals that some anger is unjustified. But I say to you whoever is angry with his brother without a cause shall be in danger of the judgment. According to Strong’s Concordance, the words “without a cause mean without a just cause. We study a number of different passages where the people in scriptures exhibited unjustified anger, to help the listening audience understand when their own anger is unjustified. During this study, we also point out some of problems at the root of our unjust anger (jealousy, pride, covetousness, selfishness, etc...) to help people deal with these problems as well. INTENSITY OF ANGER: Daniel chapter 3, verse 13 is a passage which describes someone with intense anger: “Then Nebuchadnezzar, in rage and fury...” This kind of intense anger can cause people to do violence or destructive things to hurt others and end relationships. Simeon and Levi are brothers; Instruments of cruelty are in their dwelling place. Let not my soul enter their council; Let not my honor be united to their assembly; For in their anger they slew a man, and in their self will they hamstrung an ox. Cursed be their anger, for it is fierce; And their wrath for it is cruel. LENGTH OF ANGER: Ephesians chapter 4, verse 26 warns us about anger which lasts too long: “... do not let the sun go down on your wrath...”. Anger which continues over time produces destructive behavior. It also causes resentment and bitterness to grow in our hearts. SPEED TO ANGER: This area of study alerts people to the consequences their quick tempers cause to help them overcome this problem and become more slow to anger. Proverbs chapter 14, verse 17 touches on the problem of being quick to anger: “ A quick tempered man acts foolishly...”. On the other hand, Proverbs chapter 15, verse 18 describes the benefits of being slow to anger: “A wrathful man stirs up strife, but he who is slow to anger allays contention”. One immediate effect of these teachings is that they often calm down people who are in conflict with each other, making it possible for them to rationally discuss their differences with each other. The main goal of giving these lessons is to help people identify and address problems with anger that they need to repent of and get spiritual help for if they have a chronic problem. As we deal with our improper anger, our relationships with people change. Through the transition, we become slower to anger. We start less conflict. Also, when we are confronted by angry people, we also respond more calmly and either resolve the problem or help abate the other person’s anger. The result is that we become peacemakers instead of troublemakers. The more that I read the Bible, the more I understand that it makes available the wisdom and tools we need to properly manage conflict that comes our way. In my study of scriptures, I learned that there is insight to help us avoid getting into the kind of destructive conflict that can sidetrack us, and take us away from our mission. When I do teaching sessions with congregational leaders and ministry teams, I like to include wisdom on conflict avoidance as part of their training in spiritual warfare and standing against opposition from within the congregation. These teachings are also profitable for non-leaders who face angry people who say harsh things to them or try to bait them into a fight. The story of how David dealt with his brother Eliab is one I like to share on conflict avoidance (see 1 Samuel chapter 17, verses 1 to 58 for the entire text). Israel was at war with their enemy the Philistines, and Eliab was one of Israel’s soldiers. When David came to the soldier’s camp and offered the fighting men some words of encouragement, his brother Eliab got angry with him, and attacked him with insulting words. Now Eliab his oldest brother heard men he spoke to the men: and Eliab’s anger was aroused against David, and he said, “Why did you come down here ? And with whom have you left those few sheep in the wilderness ? I know your pride and the insolence of your heart, for you have come down to see the battle. When people call us names or say insulting words to us like this, it usually make us angry. It causes most of us to fight back or to defend ourselves. Instead of arguing back, David remained focused on the important task at hand, and chose to walk away. And David said, What have I done now ? Is there not a cause? Then he turned from him toward another and said the same thing. If David had allowed himself to be sidetracked at this pointed, he may have never gotten the opportunity to defeat Goliath and bring victory to Israel. Why have you done this to us by not calling us when you went to fight the Midianites ? And they reprimanded him sharply. These men were upset with Gideon’s battle strategy and how he chose to use them in the warfare. Gideon was right to be upset with them because they were being insubordinate to his leadership. But, since they were in the middle of the battle, it was not the proper time to deal with this matter. Addressing the problem at this point probably would have led to an argument, which may have sidetracked him, or brought disunity in the ranks. These things could have also kept Gideon and his men from defeating the Midianites. Instead of dealing with the problem head on, Gideon chose to temporarily sidestep this issue by trying abate these men’s anger. His plan worked. So he said to them, What have I done now in comparison with you ? Is not the gleaning of the grapes of Ephraim better than the vintage of Abiezer ? God has delivered into your hand the princes of Midian, Oreb and Zeeb. And what was I able to do in comparison with you ? Then their anger towards him was subsided ` when he said that. When Jesus taught his disciples how to resolve their disputes with each other, he advised them that private discussion was an important step to take. Effective discussion often holds the key to whether we settle our differences or remain in conflict. For this reason, whenever I am giving someone counsel to engage in private discussions or helping people get prepared for a mediation session, I share with them some of the practical insight that I have gleaned from the thousands of Bible passages on discussion. Major faults which are causing us to do or say destructive things to each other should always be pointed out because they are the kind of things that needs to be corrected. But, we are to overlook the minor faults we see in each other, instead of taking the time to meet about them and make a major case over them. The discretion of a man makes him slow to anger, and it is a glory to overlook a transgression. Colossians chapter 3, verse 12 and 13 confirms that these minor faults are things we are to put up with in each another. If we make it appear that the minor faults are major wrongs when we bring them into the discussion, the person we are accusing will see this as knit picking, or “making a mountain out of a molehill”. More than likely, this will make him angry, and nothing productive will come out of the meeting. To do this, you need to have done as thorough an investigation of the facts as possible. You should have reliable and trustworthy evidence, instead of relying on information you have gotten through rumors or hearsay. If you do not take these steps, you may end up embarrassing yourself by falsely accusing someone of wrong. This is what happened at Joshua chapter 22, verses 9 to 31, when some of the tribes of Israel relied on hearsay evidence and falsely accused some other tribes of a wrong they were not guilty of. When we falsely accuse someone, it usually starts a quarrel between us and the person we accuse. In response to being wrongly accused, the person accused will commonly get angry with us, and lash back or attack us. In cases where you suspect someone may have an evil motive toward you or is holding a grudge against you, you should approach them in a gentle, non-threatening way to find out what the truth is about their motives. King David used this approach when he was not sure if the men who approached him in the wilderness were friends or coming as enemies to betray him. By using the word “if”, David made it clear that he was not accusing them of anything wrong. He was not sure of their intentions and he wanted to find out the truth from them. lest you also be tempted. If you do this gently, the person you are accusing may hear what you say and be willing to correct the problem. But if you make the accusation with harsh tones, put downs or name calling, the person may get angry with you, which commonly lead to more arguments. As Proverbs chapter 15, verse 1b indicates, “... but, grievous words stir up anger”. James chapter 1, verse 19 confirms that we should listen carefully, and take our time before we answer charges: “Be swift to hear, slow to speak...”. Proverbs chapter 15, verse 28 also confirms this wisdom: “The heart of the righteous studies how to answer; but the mouth of the wicked pours forth evil”. If we answer before we hear and understand all the charges, we will not be giving a proper answer to what is being said. Proverbs chapter 18 verse 13 confirms this when it says, “He that answers a matter before he hears it, it is folly and shame to him”. Once you have heard and understood the accusation, then you need to make a full response to the charges. If you feel that the person accusing you is misguided in his statements or charges, you will need to fully explain to him why you think he is mistaken. This may help bring an end to misunderstandings or any false charges or misrepresentations that were brought against you. . If the claim that you have done wrong is correct, admit the truth, ask for forgiveness, and be willing to straighten out the wrong you have done. You are not to lie about this, or try to justify your wrong conduct. A counter charge occurs when the one who originally was accused turns the tables and makes claims against the one who accused him. Countercharges should never be made to try to evade responsibility for wrong that you have done. A counter charge can and should be made when you are bringing up the subject so that all the important issues in the conflict are put on the table to be resolved. The timing of raising a countercharge is very important. If you make the countercharge directly on the heels of the charges made by the other person, it is likely that the other person will think that you are trying avoid dealing with the issues he has raised. This may cause further discussions to be unfruitful. For this reason, it is probably best to fully deal with the person’s original charges first before you raise the countercharge. This is exactly what Abraham did when Abimelech accused him of dealing falsely with him (Story at Genesis chapter 21, verses 22 to 26). In response to this charge, the first thing Abraham did was to immediately admit his wrong and agree to change his conduct in the future. After Abraham fully dealt with the charge against him, he then raise the counter-charge against Abimelech. He accused Abimelech’s men of taking wells from them that Abraham’s servants had dug. As these men openly discussed these issues and admitted their wrongs to each other, they were able to fully deal with the things that separated them and make peace. Over the past ten years, God has blessed me to be able to assist ministry teams with Leadership Retreats and training sessions to help them properly manage conflict within their congregations. Here is an small sample of the wealth of wisdom the Bible provides for leaders on this subject. In most congregations, whenever conflict arises, congregation members start to whisper about it and rumors start to spread. According to the Book of Proverbs, this kind of behavior helps to destroy relationships. A perverse man sows strife: and a whisperer separates the best of friends. He who covers a transgression seeks love; but he who repeats a matter separates friends. According to Proverbs chapter 26, verse 20, gossiping is likened to adding wood to a burning fire. It keeps strife alive and makes it worse. Where there is no wood, the fire goes out: And where there is no talebearer, strife ceases. Since strife stops when the gossiping ceases, leaders of the congregation should take quick and decisive action to stop this destructive conduct, such as correcting or rebuking those in the congregation who are spreading rumors or gossiping. Matthew chapter 18, verses 15 and 16 instructs members to settle their differences privately with each other. And, if this fails, they are to seek help in resolving the dispute. Moreover if your brother sins against you, go and tell him his fault between you and him alone. If he hears you, you have gained your brother. But if he will not hear, take with you one or two more, that by the mouth of two or three witnesses every word may be established. Even though members are taught to do these things, sometimes they refuse to do so. Because these disputes can divide the congregation, and may cause irreparable harm if they are allowed to continue unchecked, there are times when the congregational leader must step in and bring the quarreling members together to have conflict resolution discussions. When Jesus’ twelve disciples had a bitter struggle with each other and refused to settle their differences, Jesus took action to get them to deal with the issues that separated them. And he came to Capernaum: and being in the house he asked them, What was it that you disputed among yourselves on the road ? But they kept silent, for on the road they had disputed among themselves who would be the greatest. I hope that this short journey in the scriptures has enlightened you on some of the many different uses of the wisdom of the scriptures in providing resolution in cases of congregational conflict. It was a joy to be able to share them with you. Lester L. Adams is an attorney, author, a trained mediator and arbitrator, and an ordained minister. Lester has been a mediator and arbitrator for the following organizations: National Association Of Securities Dealers; National Arbitration Forum; Better Business Bureau; New York Stock Exchange; Circuit Court Of Baltimore County, and the Maryland Human Relations Commission. Lester has been an ordained Elder since 1994, and he currently serves in that role in a church called New Covenant Tabernacle. Lester also heads up Pursuing Peace Ministries, a ministry that mediates conflict, and teach, trains, and equips congregations and church leaders to make peace. Over the years some of the teaching series Lester has conducted for congregations include, “Becoming A Man of Peace”, "Developing Good Relationships In The Church" and "Anger And Conflict". Lester also has published two books on resolving conflict, God’s Power Released (Amazon.com, 2014) and Preparation For Resolution: Biblical Strategies For Conflict Resolution (Amazon.com, 2014). 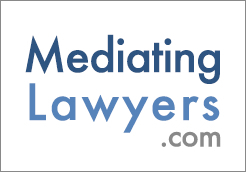 "Mediate.com breathes life into the field of mediation. The collaboration and support of the profession truly is second to none."